This title explores the desire to move viewers out of the role of passive observers and into the role of producers. 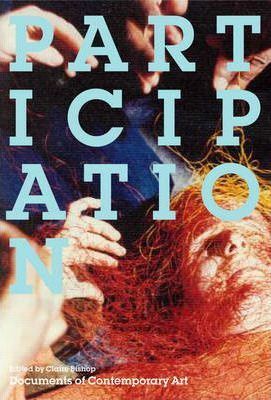 Participation begins with writings that provide a theoretical framework for relational art, with essays by Umberto Eco, Roland Barthes, Peter Burger, Jean-Luc Nancy, Edouard Glissant, Felix Guattari, as well as the first translation into English of Jacques Ranciere's influential `Problems and Transformations in Critical Art'. This anthology also includes central writings by such artists as Lygia Clark and Helio Oiticica, Joseph Beuys, Felix Gonzalez-Torres, Thomas Hirschhorn, Rirkrit Tiravanija, and features recent critical and curatorial debates, with discussions by Lars Bang Larsen, Nicolas Bourriaud, Hal Foster and Hans-Ulrich Obrist. Introduction; Theoretical Frameworks; Artists' Writings; Critical and Curatorial Positions; Biographical Notes; Bibliography; Index; Acknowledgements. Claire Bishop is the author of Installation Art: A Critical History and a contributor to many art journals, including Artforum, Flash Art, and October.